Maruti Suzuki had begun accepting bookings for the Vitara Brezza in February 2016. In around two weeks, it ended up receiving over 25,000 bookings. It became clear that Maruti Suzuki had a new winner in its portfolio. Even now, the compact SUV continues to receive a lot of attention. 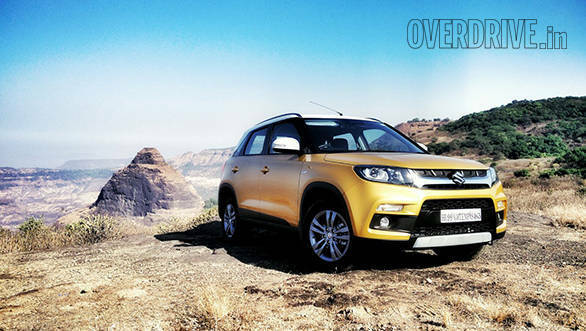 Maruti Suzuki has now officially announced that the Vitara Brezza has received over two lakh bookings in India. The Vitara Brezza is powered by the tried-and-tested 1.3-litre diesel engine that also does duty in other models like the Ertiga and the Ciaz. This unit makes 90PS and 200Nm of torque and comes mated to a 5-speed manual transmission. It is available in a choice of seven variants. In May last year, the waiting period for the Vitara Brezza had increased to seven months. Over 50 per cent of the bookings for Maruti's compact SUV were for the top variants. In order to meet the high demand, Maruti Suzuki was planning to increase the production of the Vitara Brezza. In October last year, the carmaker had introduced the iCreate vehicle customisation facility for Vitara Brezza owners. The customisation options include body graphics, alloy wheels, seat covers, interior styling kits and exterior garnishes. The company says that there are 90 permutations and combinations for buyers to choose from. A petrol variant of the Vitara Brezza is also expected to be introduced.